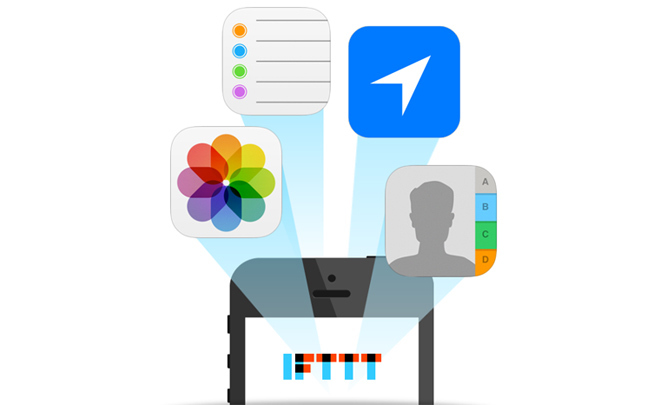 IFTTT stands athwart history. At a point where the software world is obsessed with finding ever more specialized apps for increasingly specific problems, the San Francisco-based company is gleefully doing just the opposite. It simply wants to give people a bunch of tools and let them figure it out. It all happens with simple conditional statements the company calls “recipes.” So, you can use the service to execute the following command: If I take a screenshot, then upload it to Dropbox. If this RSS feed is updated, then send me a text message. It’s great for kluging together quick, automated solutions for the little workflows that slip into the cracks between apps and services. You step inside Walmart and your shopping list is transformed into a personalized map, showing you the deals that’ll appeal to you most. You pause in front of a concert poster on the street, pull out your phone, and you’re greeted with an option to buy tickets with a single tap. You go to your local watering hole, have a round of drinks, and just leave, having paid—and tipped!—with Uber-like ease. Welcome to the world of iBeacon. It sounds absurd, but it’s true: Here we are in 2013, and one of the most exciting things going on in consumer technology is Bluetooth. Indeed, times have changed. This isn’t the maddening, battery-leeching, why-won’t-it-stay-paired protocol of yore. Today we have Bluetooth Low Energy which solves many of the technology’s perennial problems with new protocols for ambient, continuous, low-power connectivity. It’s quickly becoming big deal. Because of iBeacons’ limited range, they are well-suited for transmitting content that is relevant in the immediate proximity. 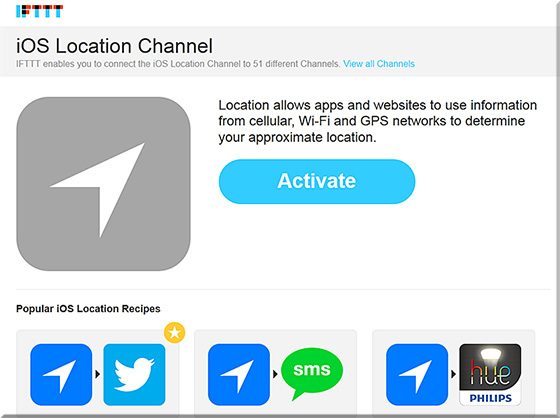 Along the lines of the above postings…I recently had a meeting whereby the topic of iBeacons came up. It was mentioned that museums will be using this sort of thing; i.e. approaching a piece of art will initiate an explanation of that piece on the museum’s self-guided tour application. For example, if a student goes to the SW corner of the room, they approach a table. That table has an iBeacon like device on it, which triggers a presentation within a mobile application on the student’s device. The students reviews the presentation and moves onto the SE corner of the room whereby they approach a different table with another/different iBeacon on it. 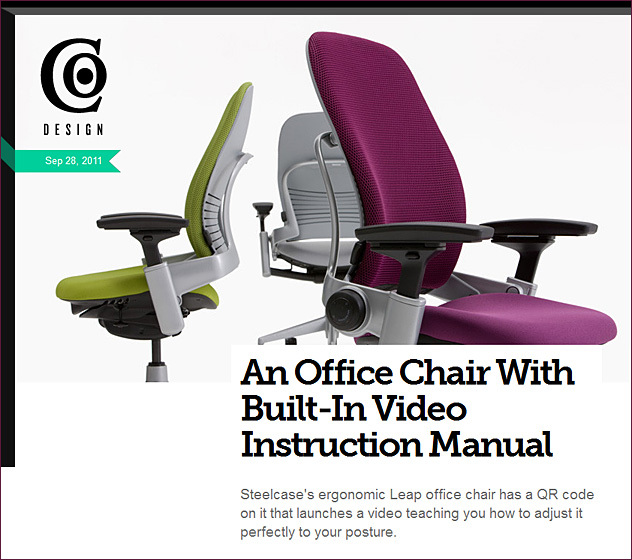 That beacon triggers a quiz on the material they just reviewed, and then proceeds to build upon that information. Etc. Etc. Physically-based scaffolding along with some serious blended/hybrid learning. It’s like taking the concept of QR codes to the next level. Data mining, interaction design, user interface design, and user experience design may never be the same again. As mobile learning and technology is more readily integrated within classroom settings, QR codes can be used as an interesting method to capture a student’s attention and make lesson material more interactive. 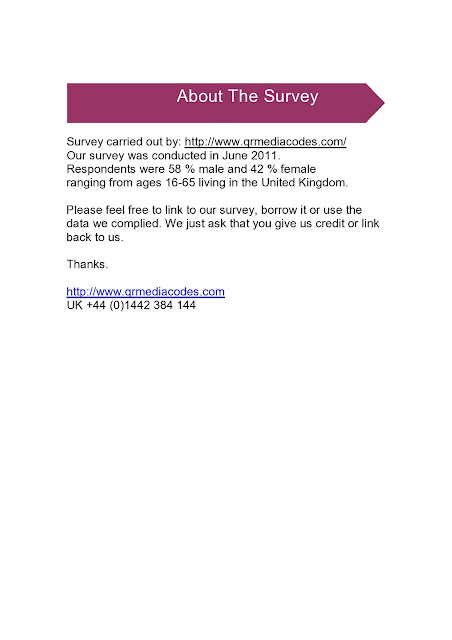 Quick response codes, also known as ‘QR’ codes, are simple, scannable images that are a form of barcode. By scanning a QR code image through a mobile device, information can be accessed including text, links, bookmarks and email addresses. In the classroom, QR codes can be used in a variety of ways — from conducting treasure hunts to creating modern CVs. Below is a number of articles, tutorials and lesson plans designed to help educators. In case it’s helpful, clicking on this link or on one of the images above will link you to a recent presentation that I did for an Interim course at Calvin College entitled, “Social Media for Business?” As the class had already covered a lot of the topics relating to social media, my job was to focus more on some of the recent emerging trends and technologies. I will continue to keep pulse checking on those technologies which will allow for ubiquitous, mobile (as well as from the living room), 24x7x365, multimedia-based learning. Almost all of the images on the slides are linked up to web-based resources; so if you see something of interest, go ahead and click on that image/slide in order to learn more about that topic/article/etc. I am a huge proponent of backchannel learning. There are many conferences I would love to be able to attend, but my budget can only accomodate one or two each year. The backchannel is an excellent resource for learning from a conference or event that you are unable to attend in-person (emphasis DSC). I find collecting collecting and reviewing backchannel resources to be a valuable learning experience for me, even when I am attending a conference in person. Sharing these collections on this blog has shown that others find value in the collections as well. 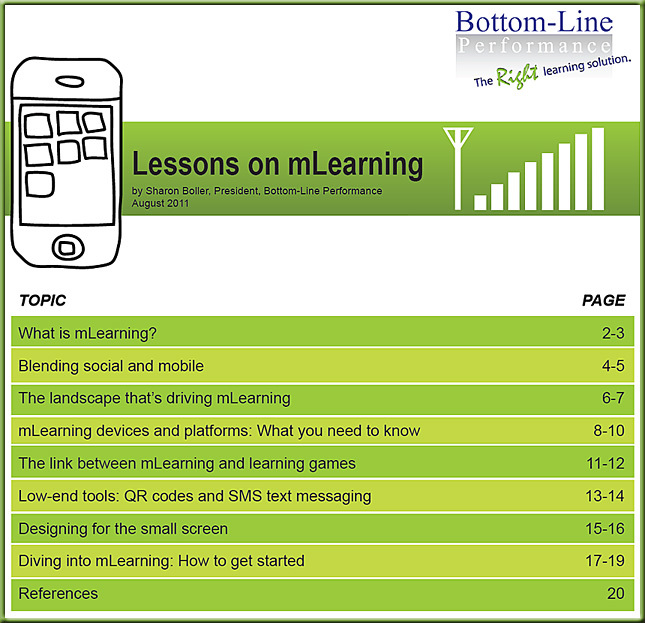 This post collects the resources shared via the backchannel of the mLearning DevCon 2011, held October 5-7 in the New York Metro area. 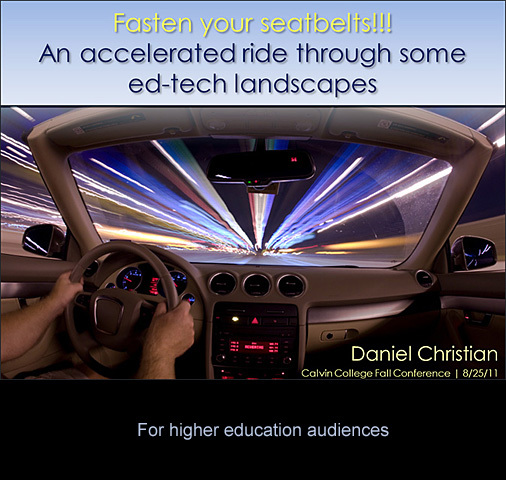 From Daniel Christian: Fasten your seatbelts! 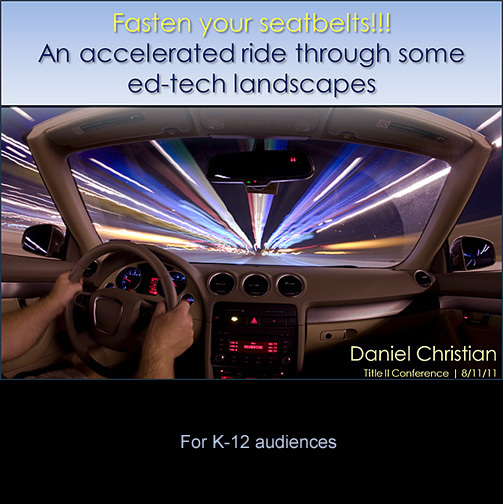 An accelerated ride through some ed-tech landscapes. It is aimed at K-12 audiences. 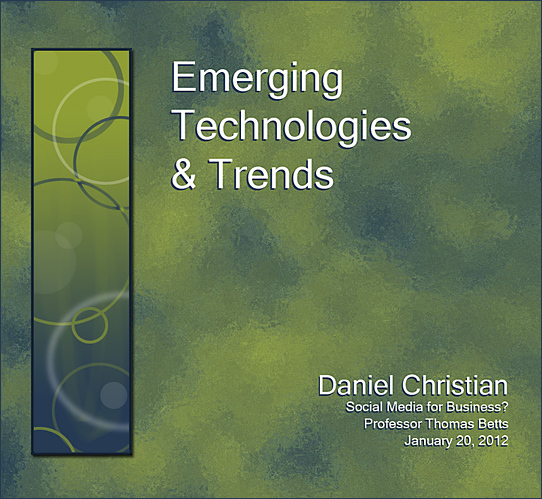 Immediately below is a presentation that I did today for the Calvin College Fall 2011 Conference. It is aimed at higher education audiences. 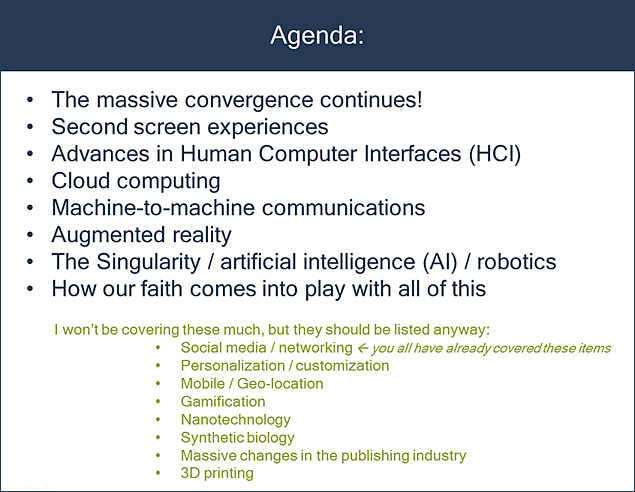 There is a great deal of overlap here, as many of the same technologies are (or will be) hitting the K-12 and higher ed spaces at the same time. However, there are some differences in the two presentations and what I stressed depended upon my audience. Pending time, I may put some audio to accompany these presentations so that folks can hear a bit more about what I was trying to relay within these two presentations. Whether knowing what it is or not, you’ve probably seen a few QR (Quick Response) codes by now – these rather soulless small black and white two-dimensional bar codes that have started showing up within media and advertising to storefront window displays. QR codes instantly link the offline world and the digital world together— Its therefore a powerful tool businesses can use to allow consumers to engage with their brand or product. 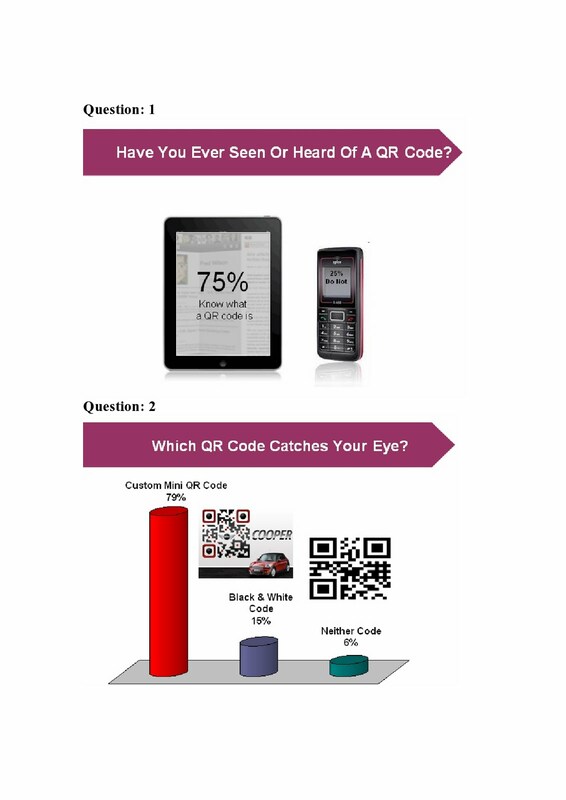 Stats from Jumpscan say that QR code scanning has increased by 1,200% from September to March 2011. 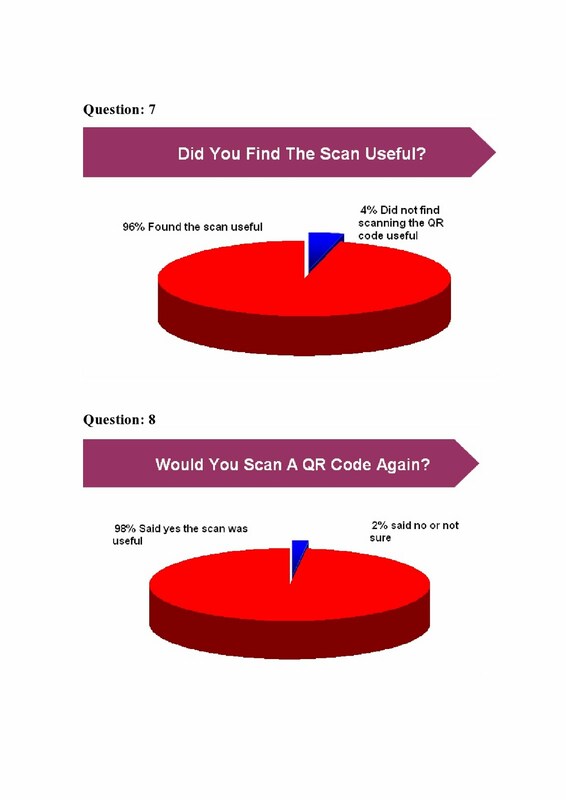 Not surprisingly, social media users are the key driver of this growth, with 57% of Facebook and Twitter users reporting that they’ve scanned at least one QR code in the past year. I post this to get some creative/innovative juices flowing for how this might relate to textbooks and/or other educationally-related applications.